Understanding Religious Vocation in Australia Today was commissioned by Catholic Vocations Ministry Australia (CVMA) and carried out by the Australian Catholic Bishops Conference Pastoral Research Office. The report is the outcome of a comprehensive research project that sought to understand the characteristics of men and women who entered religious life (and stayed) since 2000 and to identify best practices for vocation promotion. The research involved surveys of congregational leaders and new members, interviews with leaders of congregations that had been successful in recent recruitment and focus groups with new members. The report found that of the 439 people who had joined a religious congregation in Australia since January 2000, 254 (58 per cent) were still members in 2015. It also corrects two common misconceptions: First, that only conservative or traditional religious congregations attract new vocations; and, second, that only people who were born overseas are entering religious life in Australia. 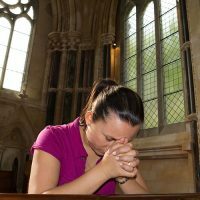 According to the report, congregations that are successful at attracting new vocations share many strategies in common. “Congregational leaders identified three main factors that contributed to success in attracting new members: having an integrated and well-resourced approach, offering a live-in experience and having a full-time vocation director or team,” said Fr Tony Cox SSC, executive officer of CVMA. The research also identified features of religious life that attract, challenge and reward new members. Congregational leaders observed that the challenges associated with living in a religious community can be particularly acute for new members. Bob Dixon, the report’s lead author, said new members identified the main challenges they face in religious life as living in community, the vow of obedience and factors such as being separated from family and friends. “On the other hand, there were rich rewards in religious life in terms of personal development, prayer life and spirituality, community life and companionship, and opportunities to be of service to others,” Dr Dixon said. According to the report, attitudes to wearing a religious habit varied considerably among new members. For some, the fact that their congregation wore a habit was a factor in their choice; others chose their congregation because members were not required to wear habits. By identifying best practices in vocation promotion, the research is helping congregations adjust their approach to recruitment and has the potential to contribute to strengthening religious life in Australia and elsewhere. “The report leaves us in no doubt that religious life has a future in Australia, although the future will not look like the past or even the present,” Fr Cox said. For further information about the report, contact Fr Tony Cox SSC (ainslie51@hotmail.com) or Dr Bob Dixon (r.dixon@pro.catholic.org.au). This entry was posted in Uncategorized on March 20, 2018 by ACBC Communications.